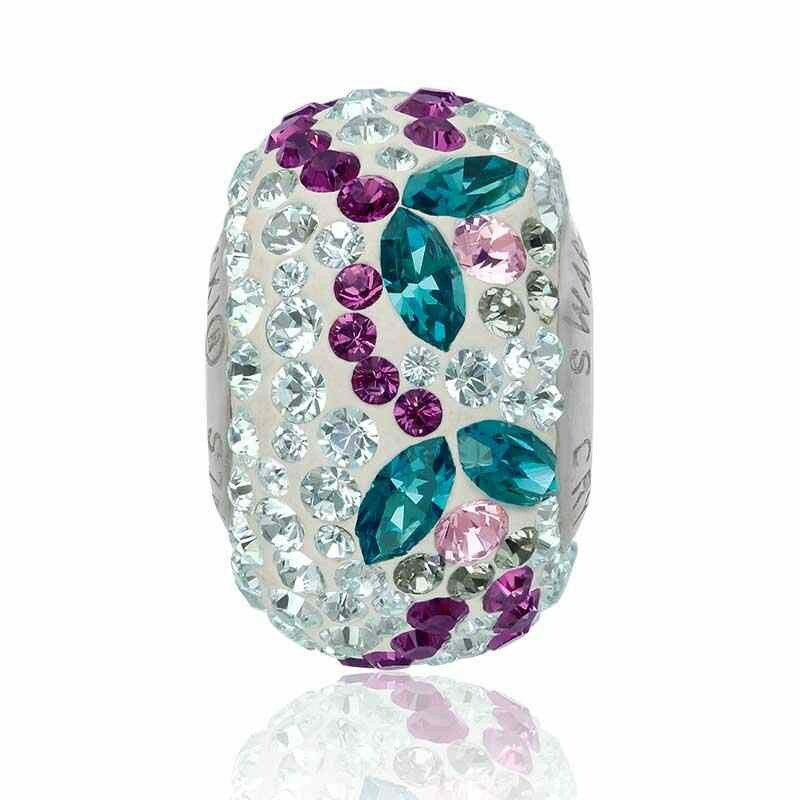 What better way to welcome the summer than with the beautiful new BeCharmed Secret Garden Collection? 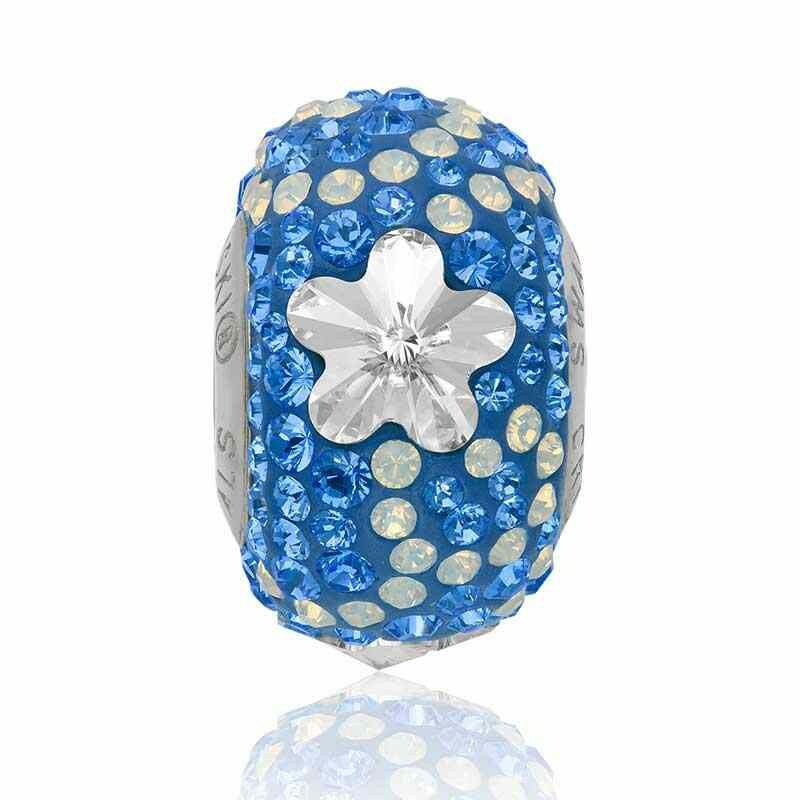 Featuring three delightful new BeCharmed Pavé Beads—Tulip, Daisy and Butterfly—each perfectly encapsulates the season with lighthearted elegance. 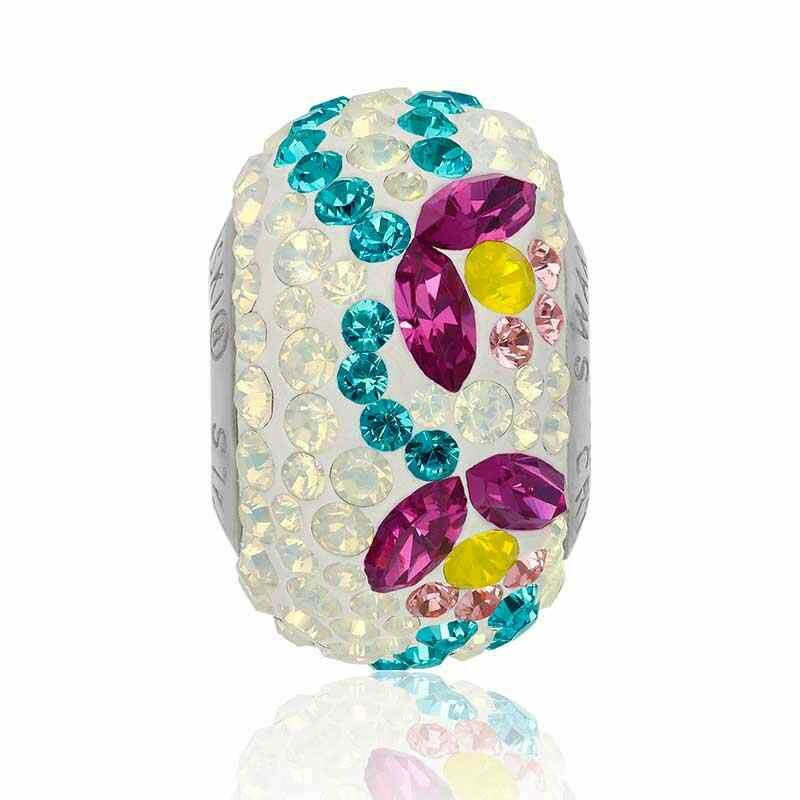 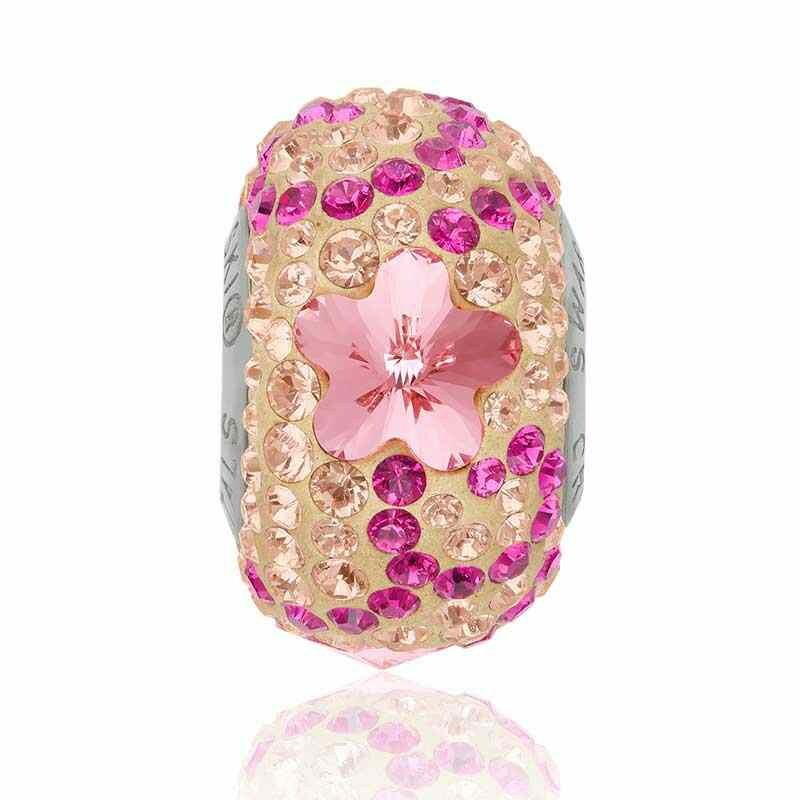 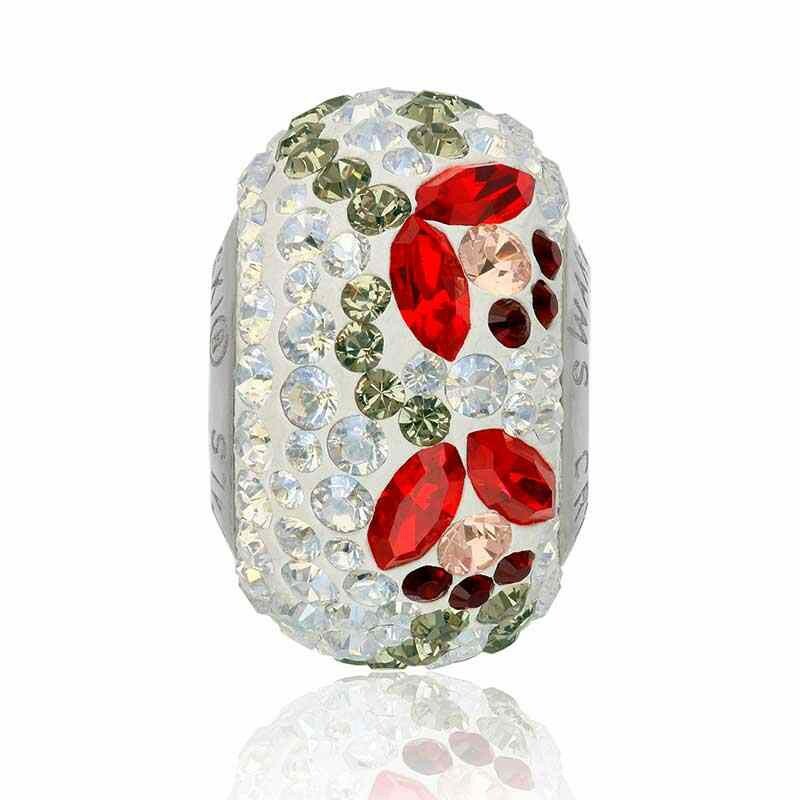 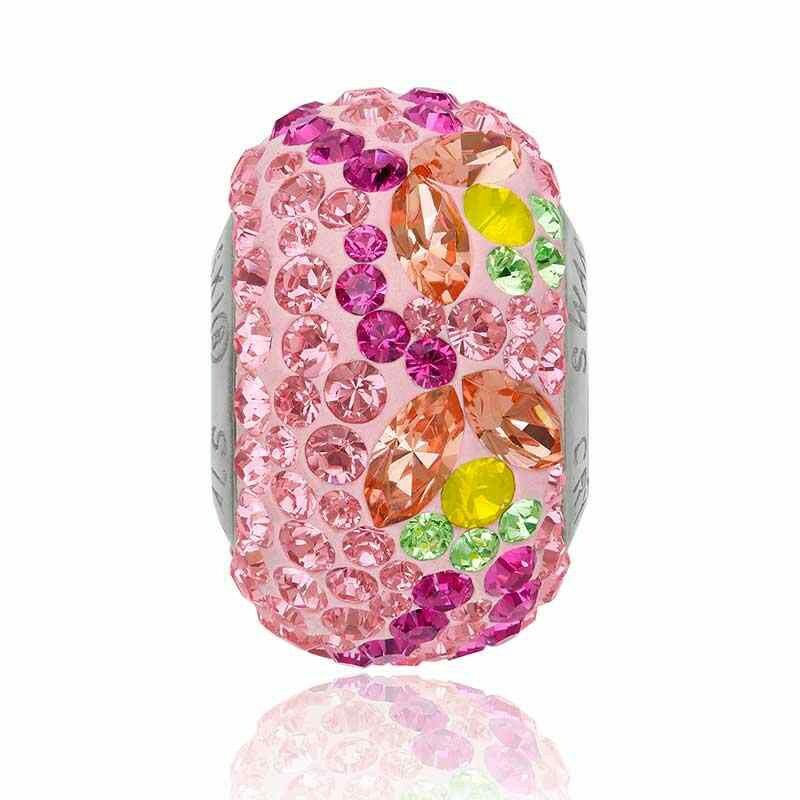 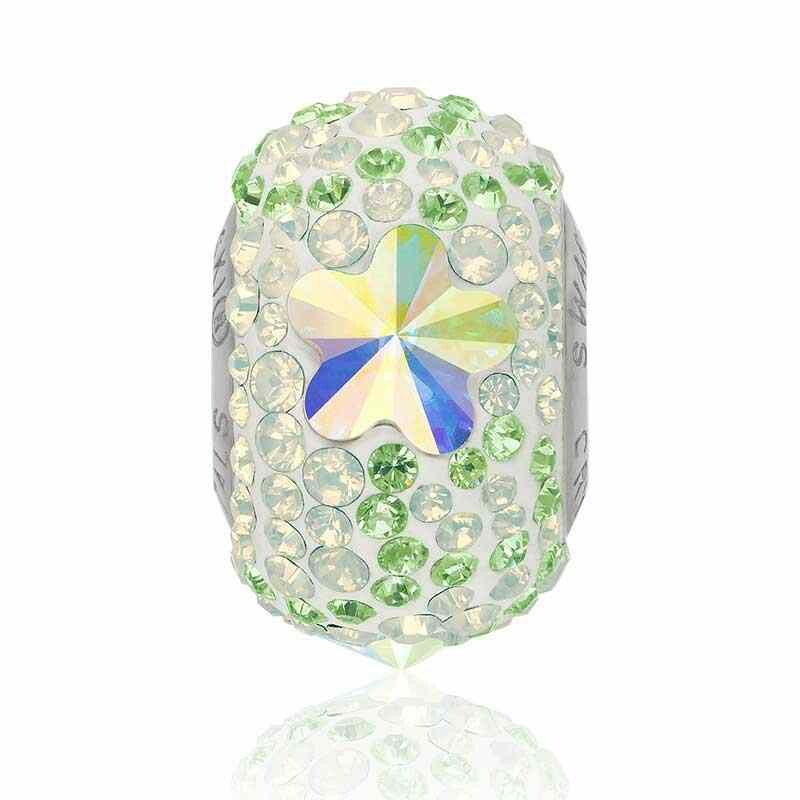 Made with a high-quality stainless steel inner core engraved with the SWAROVSKI® CRYSTALS logo for a definitive stamp of authenticity, each sparkling BeCharmed Pavé Bead measures 14mm x 9.3mm and has a 4.5mm hole large enough to thread with SWAROVSKI® BeCharmed Bracelet (80000) or leather, rubber, or cord. 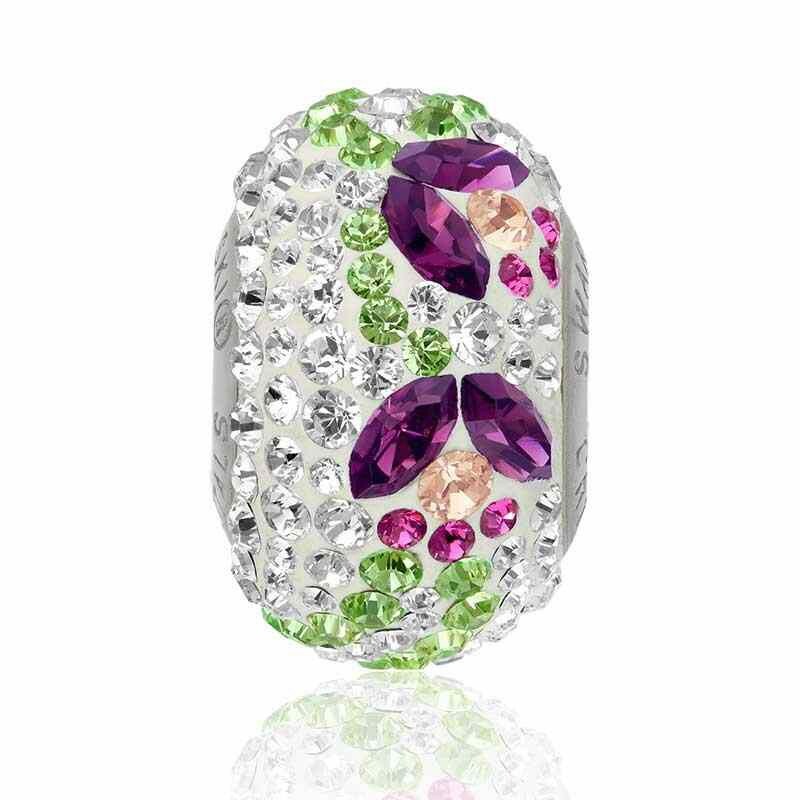 The silky Tulip (82125), with its Flower Garland pattern created using Navette Fancy Stones, conveys all the optimism of late spring in five glorious color combinations. 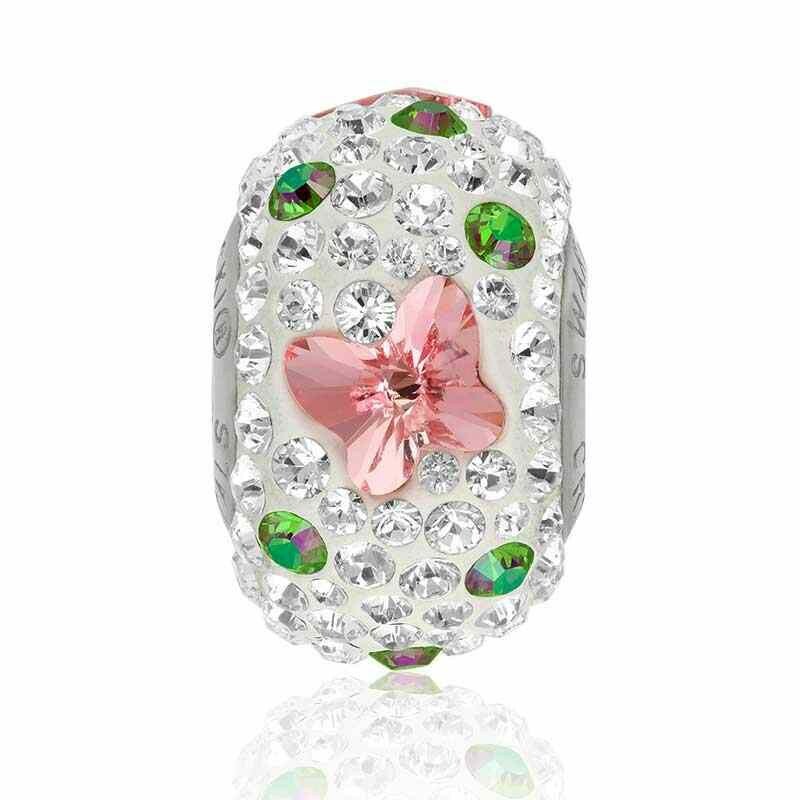 The cheerful Daisy (82143) is a harbinger of summer, capturing the warmth of lush, lazy days in four different color combinations of XILION Chatons and Flower Fancy Stones (4744), also in the Flower Garden pattern. 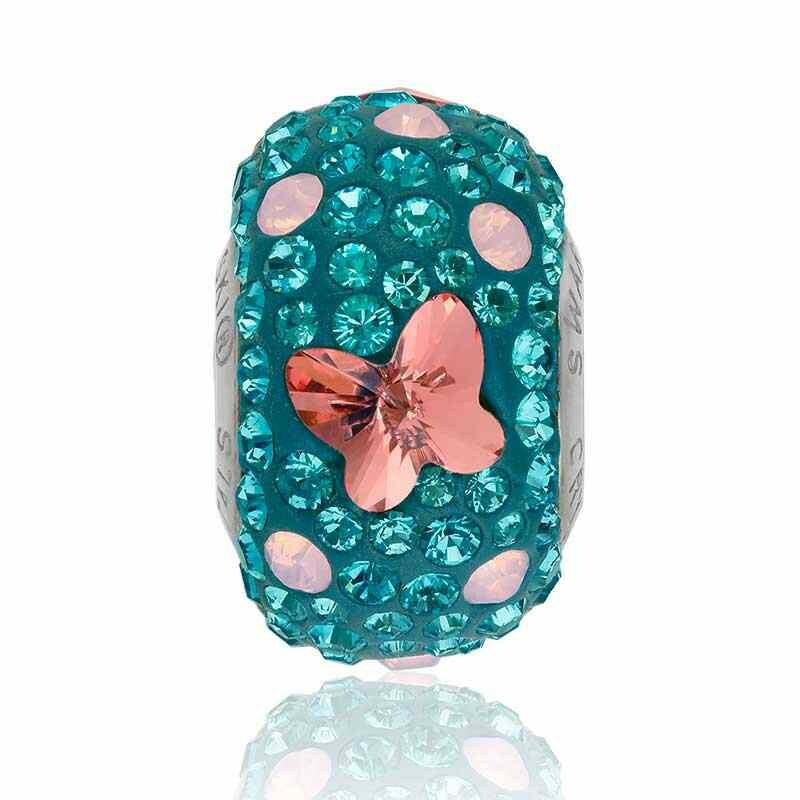 The playful Butterfly (82133) features a fragile crystal butterfly, its wings open in flight, composed of XILION Chatons and Butterfly Fancy Stones (4748) in five colorways. 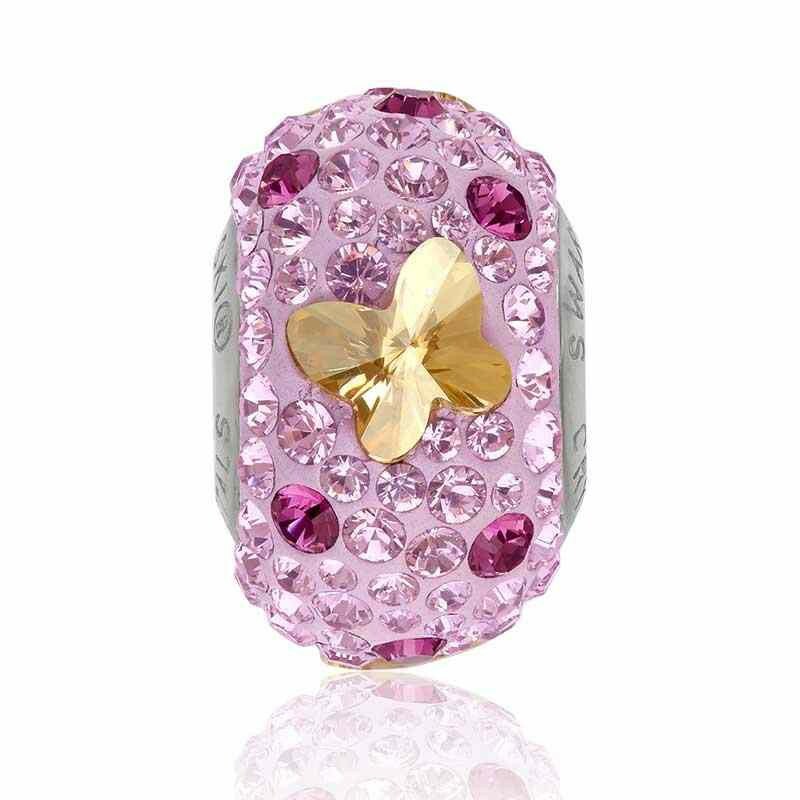 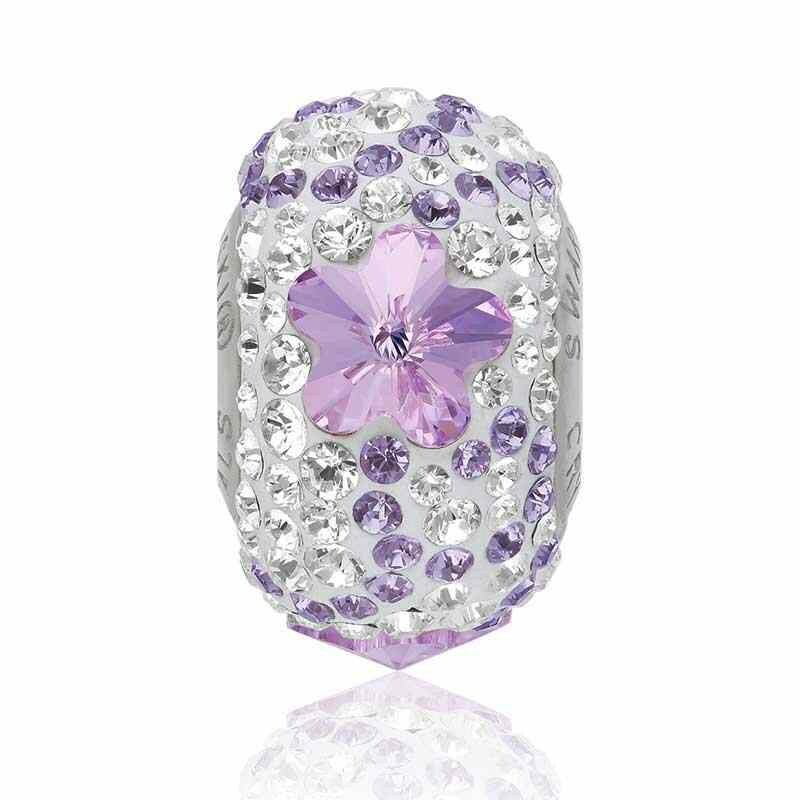 The new Secret Garden Pavé Beads work beautifully when mixed and matched with other sparkling Crystal Beads, Pavé Beads, and Pavé and Crystal Charms from the BeCharmed assortment.